By now if you are somehow related to the coaching business or teaching, you might have realized that there are various limitations like you will be geographically restricted to one particular area which means you can not market the students outside 5-6 km of your radius. Our goal today is to provide you with all the help to set your Coaching Business online. Some of you might have already started experimenting on portals like Skype, Whatsapp and what not to break the time/space barrier and also facing the logistic issues and ended up getting 10,645 WhatsApp messages in a day! Without any proper planning and management, these are the problems you might start facing sooner or later. Your institute will not be restricted to one geographical location and will be capable of breaking the barriers. The presence of your institute will be present 24X7 inclusive of your study material, reviews, and other contact details. You will be recognized as a brand, for the simple reason that you are doing something different. Securing and delivering your coaching course online. Setting up and automating the payment process for your students. 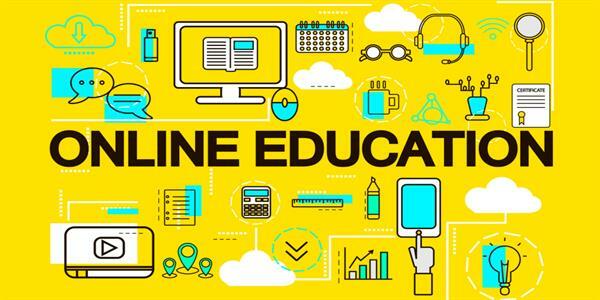 To have a 24X7 online presence, your coaching institute should have an account on any of the publishing tools like WordPress, Tumbler, Wix or Blogger. Select the tool with the appropriate features and go live. You also have an option of investing a little in purchasing a domain name to host your entire website on WordPress, just like this one, without taking the load of designing the website on your own. Every student today has a social media presence and hence the most dominant player of social media, Facebook plays a huge role in the education industry. As Coaching Institute one should always have a “Facebook Business Page“. Oh, wait! before you click on that link please make yourself aware as to what all can you do on the page. Upload video lectures and address the students from all across the community. Posting educational content and using multimedia for the presentations and slides will keep the students interested in the content. You can invest in promoting your posts so that it can reach the relevant audience. You can have one major advantage over other coaching competitors by getting your own brand identity, your own mobile application. Apart from getting your own mobile application, you will have a single portal to manage each of these things. Manage attendance of each student, batch-wise (which means your WhatsApp will not be flooded with messages). Manage your study material and test series. Track reports and progress of a class. You can search for “Coaching Management Application” online and search for the same. You can send personalized emails to your students on content related to studies and interest using services like MailChimp. Not just this but you can get a more interested audience on other platforms and ask them to fill a sign-up form. Later you can send a series of emails to this list and convert them into the coaching institute’s students. So many teachers do not realize the potential of E-mail marketing and fail at converting an interested audience into a customer. Again all these things can increase the functionality of your Coaching Institute in terms of expanding business and giving you more business but the effectiveness increases when all these things are amalgamated together.